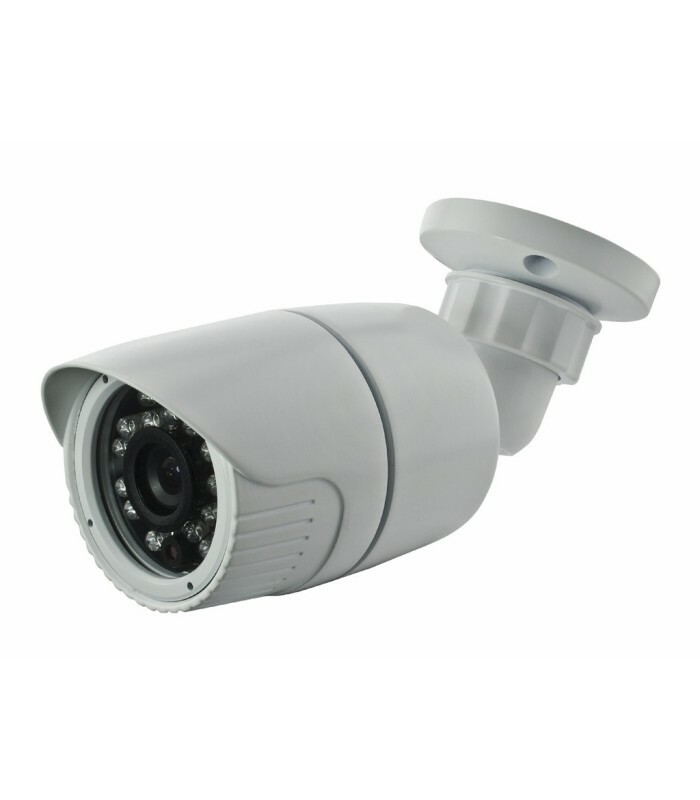 Camera HDCVI 1080P with infrared, for indoor or outdoor. Allows HD 1080p video via coaxial cable or UTP. Consists of a sensor 1/3 "Sony 2.0 Megapixel Exmor © (IMX122 model) and DSP (EN773E model), offers a resolution of 1080p 25 FPS. Fixed lens with a 3.6 mm diagonal field of view of 79 °. 24 infrared LEDs with automatic activation providing a sharp image at 0 lux (total darkness) to a maximum distance of 30m. It features automatic IR cut filter which gives duramte on an image with sharp, realistic colors. - Smart IR, optimal exposure to night vision. 1 output format HDCVI and one in standard analog CVBS format that allows a resolution of 700 TVL. Waterproof according to IP66, can be used both indoors and outdoors. Easy wall mount or ceiling thanks to its mounting bracket 3AXIS.